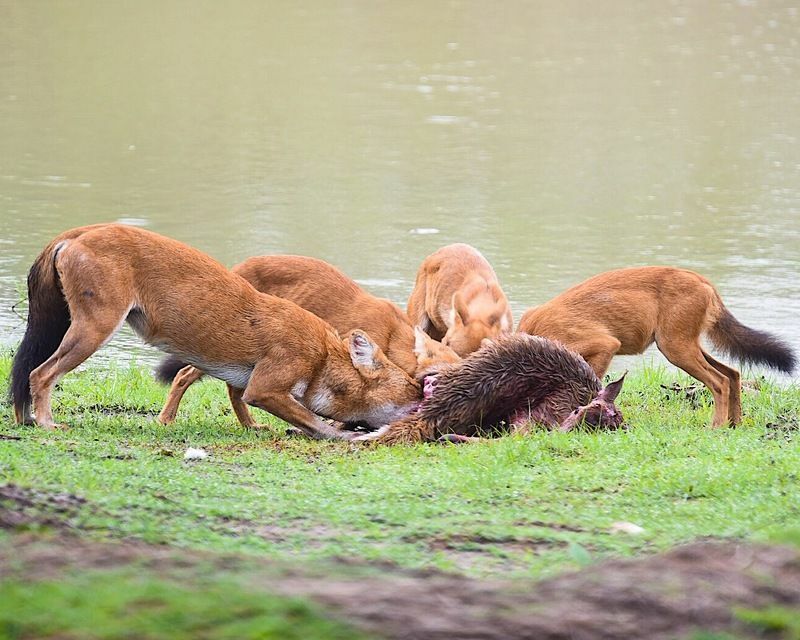 Pack of wild dogs work together to fetch a meal for the day. Spotted deer known for its alertness and speed is one of the toughest and sought after meal for the shy creatures who like fresh blood. Picture taken in 2017 at Bandipur Tiger Reserve, Karnataka, India.